1 : 30200000 Lea, I. 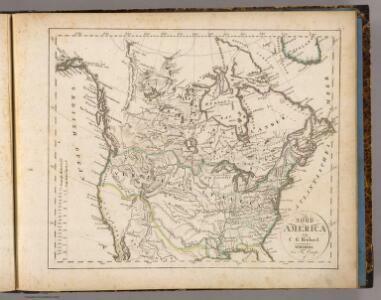 North America, agreeable to the most approved maps and charts / by Thos. Conder. 1 : 33000000 Worcester, J. E.
9. Union of Soviet Socialist Republics, Communications. The World Atlas. North America / T. Jefferys, sculp. New Discoveries in the Interior Parts of North America. 10-11. Union of Soviet Socialist Republics. The World Atlas.